Located in the middle of growth development that includes a FedEx Distritbution Center, Tesla Motors Charging Station, and highway expansion, this 5.96 acre property is located just off I-10 and Highway 331. This parcel is adjacent to multiple hotels (Days Inn, Econo Lodge, etc. ), Waffle House, and Lowe's Home Improvement. With traffic light access, nearly 200ft of frontage and the potential for multiple access points makes this ideal for all commercial uses. 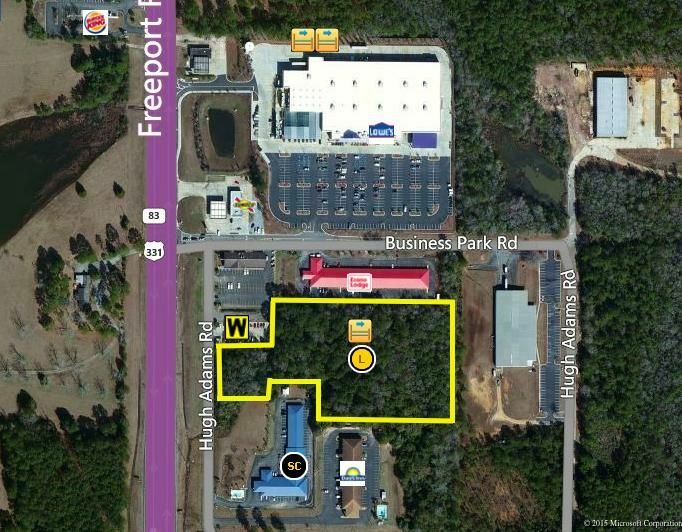 Perfect development opportunity for in-line retail, gas station/truck stop, or lodging.